Finclock Staff absence management system helps track employee absence and increase employee productivity. Increased tracking of time and location ensures that employees attend to their workstation and duties on time. Finclock automates attendance management and makes employees responsible for their actions. Finclock is designed to work as a mobile application and online attendance system. Employees shall use their phones to mark attendance, which tracks the time and location of the employee. These reports are analysed to give absence records, lateness and even geo-fence reports. The only Staff Absence management software that works offline and online. The system fits the needs of office workers and fieldworkers. Use direct employee absence application to find the total hours workers by each employee. Eliminate employee time cheating and theft of work hours automatically. The online attendance system includes features for automated absence planning. Why choose online Absence management software? Finclock provides the best Absence management system and mobile absence application to improve productivity of employees. Managers and business owners use the best staff attendance system to save time and money. Finclock has been rated the best online absence management software that reduces wastage of time and increases employee performance. Finclock staff management application is the best Mobile app for absence management because it also helps track employee location and increase their adherence to company task plan. using finclock absence management system, increased tracking of time and automated tracking of employee location leads to seriousness at work. Also, the employees are able to make absence requests, using Finclock attendance application, which reduces workload of managers. When employees start managing their time properly, the actual performance is automatically analysed and reports sent to the online attendance system. Since employee requests are received in real time by the management, one can now track the requests automatically and decide on the best course of action. When the absenteeism reports come to the manager’s phone as notifications, the manager can choose to either approve, reschedule or reject the requests. Using Finclock, employees will request for absence days, which will automatically be sent to the managers. Upon approval, the employee gets approval alert, meaning that there will be no unaccounted absenteeism. The Best part is that the attendance reports are analysed to give the payable time for each employee. Absenteeism management application helps to eliminate time wastage in your company. Start using the best staff application that offers features for absence management and reduces cases of absenteeism within the first one month. Using Finclock Absence application cuts the cases of lateness, absence and even laziness by over 50%, within the first month. Using Finclock Attendance system saves your money and improves the overall employee productivity. If you want your business to grow, start using the best attendance system that solves all absence issues in your business. Top companies use staff Absence management application to track all employees both indoor and fieldworkers. Schools use Absence application to track student performance, in all classes. Construction companies use finclock Absence application to cut the cost of labor in projects. 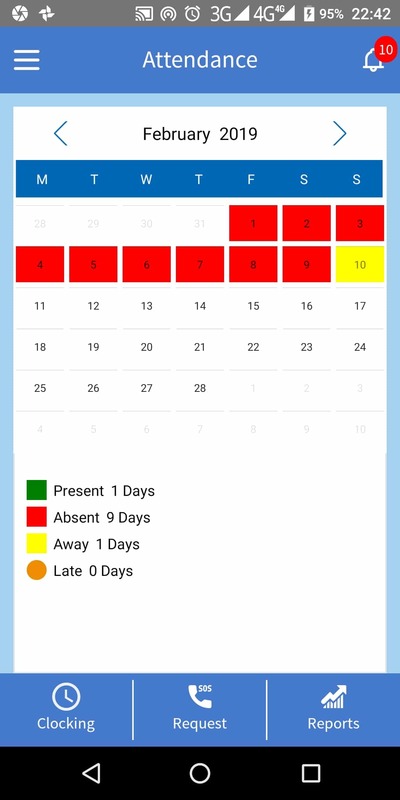 Security guard absence is reduced when using the best attendance app online, since each guard is automatically tracked. payroll and scheduling of employees is automated using the best absenteeism software online. Register Free trial of absence application and start seeing business growth within one month. Managers using Absence management software saves business time and money by cutting operational costs. Since The system operates both online and offline, the employees working both indoor and outdoors are tracked. Using the top absence management system, you will track the worker’s performance and pay them according to the actual work done. Absenteeism application saves company time and money for the business because the mobile application is cheap to set up and operate. When businesses start tracking the working progress of each employee, the operational costs will be based on actual workers in their workstations. The result is reduced laziness and elimination of unproductive tasks in the company. Thus using the best employee absence management system is a key method of saving costs. Using the best absence management application solves many challenges in your business and helps keep customers happy. Finclock absence application also includes other features to streamline the communication with the employees. Here, the attendance application provides self organization tools, both to the employees and management. Starting with solving time management, the best staff management application enables managers to organize work schedules and task plans. Here, the employees who have made absenteeism requests are not included in the work plan. The result is contented workers, who shall focus on business growth. Companies using the top absence application shows good staff reporting skills. Thus, using Finclock absence management system and mobile application solves all staff management problems. Also, performance appraisals are based on the actual work delivered by the employees. Here, the best performing employees are automatically identified and rewarded. Lazy employees are automatically identified and warned. These features provides a complete system for best HR practices that serves both office and field staff members. Record-keeping in for employees is vital for the maintenance of the accountability of the firm. Every attendance record or ongoing activity in the company must be recorded. Paper documentation is the most used method of recording data. This is a hectic method because it makes data retrieval time consuming and sometimes the paper records can get lost. This leads to the existence of ghost workers and mismanagement of the company. FinClock employee management software tools offer modern, online record-keeping solution. Every employee assignment is sent through their mobile phones on the FinClock EMS application, which is managed by the supervisor. The fingerprint-based time clock is necessary for recording the attendance of the security guards. Guards are registered, where their ID numbers send their unique names that are on their ID cards. These records are sent to the server station daily and processed. Employees will be trained on how to clock in and clock out using this online employee record management system using the fingerprint attendance devices so that daily attendance software data can be obtained. The management will receive the reports from all the stations directly on their computers or mobile phones, which will help them to track the position of the devices and send direct messages or warnings to the stations. Contact FinClock EMS agents now for more information. Finclock is the best absence management software. This attendance system provides the best way to track employee absence for both indoor and outdoor workers, which has not been done by any other attendance systems. Having been rated #1 in the world, the absence management system is designed to work for all regions, regardless of internet connectivity because the absence management application works offline. Using Finclock absence management application, the employees shall be using the features of requesting for absent days, marking daily task reports and also marking daily timesheets. Here, all staff will be marking their daily attendance and using this type of employee management system, both in the office and in the field. As such, Finclock enables your business to save time and money in your business. Managing staff absence requires using a good attendance application. Employees will be reporting to work and automated absence tracking is done from their mobile phones. As a manager, your work is simple, you will just be checking the absence alerts on phone and downloading absence reports online. Another important feature of this management system is the tracking of employee location and attendance. The recommended staff attendance management software is FinClock. Using this system, your company will be able to find absenteeism reports directly from the mobile phone or computer. Using this staff attendance software gives your company the much-needed staff tracking software features. These features will allow outdoor workers to mark attendance using their mobile phones. The employees will manage their time and perform the assigned duties. Using the staff absence manager application, your employees will reduce time wastage and increase productivity. All the employees have to be disciplined and aware of the rules and regulation of the company. using Finclock absence management application, employees who are absent or are not at their workstations have to be accountable for their actions if a report of their absence is not given to the management. If the management is not aware of the goings-on of the employees, unpleasant incidences may occur. FinClock staff management software provides tools are designed to ensure that the management is aware of all the actions of the employees and their performance in their respective stations. This is achieved by having the managers to allocate employees tasks and shifts. Then, the employees will have to make periodic reports, using the mobile staff attendance application. The reports are sent in real-time to the online staff management system, where the management can access using their mobile phones or computer. As such, the many reports sent by the employees at their workstations are used in evaluating their performance. Cases where an employee comes to work late or does not report to work at all are reported using the attendance management software or timesheet application. The report will include a photos, comments and attachment of documents. These features make finclock the best absence management system online. Workers who are not physically at their stations will be alerted by the absence management application, as either notifications or direct messages to their mobile phones. If they do not respond in five minutes, the management will call them directly through their FinClock mobile number. Using the performance evaluation tools for fieldworkers, the attendance records, which are based on real time clock in and clock out, lateness, and absenteeism will be viewed. This will determine the required course of action according to the company policies. Register Free trial today and start enjoying the best staff absence management system online. Absence management software enables human resource managers and business owners to track the absence of the employees. This is achieved by having the employees report when they come to work. Using the best staff absence software, your company will no longer do manual follow up of employees. The system helps workers take responsibility for their work and report issues directly to the management. Absenteeism reporting is enabled by having the employees request for a certain day of absence. The attendance application gives the employee a form to fill when requesting for absence. Using the absenteeism reporting feature, the managers can approve or schedule employee absence. The best absenteeism reports show the manager the reason for requesting absenteeism and the days that an employee would not be at work. Use absence app to report absenteeism cases. Absence application contains time tracking features. This is one feature in the attendance management system, which will help businesses to manage time and serve customers are required. Imagine a case where employees promise to visit a customer but fail. Such absence cases will cause a bad reputation to your company thus the absence of mobile application is critical for business growth. Using this system in a mobile phone allows your employees to plan their days properly which will benefit your company and make your customers happy. Absence reports in FinClock absence application present important information to managers. Using the absence reports, one can track the performance of employees online. The reports include daily absence reports, monthly absence reports and even annual absence reports. These reports are important for employee performance evaluation. The reports are used during employee appraisals and promotions. How does Absence application work? Absence application tracks the days an employee is supposed to report to work. The employee is assigned shifts at the beginning of the week or month. Then, every day an employee goes to work, they will mark staff attendance using the mobile application. The absence application features help to upload the reports to online employee absence system. The managers can log in to the system and see the reports of each employee. The best absence management systems will help a manager to analyze the track record of an employee. It is easy to find the lazy and hardworking employees using FinClock absence software comes as an important feature in the staff management system. This system has the ability to track employee timesheet for outdoor workers as well as indoor employees. The managers are able to find absence reports directly from their computer or phone. This feature allows the hr or operations manager to assign duties to employees as per their performance and competencies. The features of FinClock Absence management system include tracking of employee performance, tracking employee location, staff absence records and even timesheet reports. Using this absence system, you can analyze each employee’s performance and make the right decisions. Companies have been using FinClock absence management application for construction workers, security guards, teachers and students. Absence alerts are sent to the managers before it is too late. Each employee is able to make requests for absence. The absence request includes scheduled absence, emergency absence requests and unreported absenteeism. Using the best absence management system, managers have managed to improve employee performance and cut the cost of operations. Join the best employee absence management system today and enjoy the best manager’s experience. Start now by signing up a free 21 days trial. Our support team is waiting to have a free consultation. We shall help you set up your workforce so no worry about technical expertise. Sign up to download your application. The #1 absence management software must provide the top functions to the human resource and finance managements. Among the #1 absence management software is Finclock. This software comes both as an online attendance software, phone application for attendance monitoring including project management. 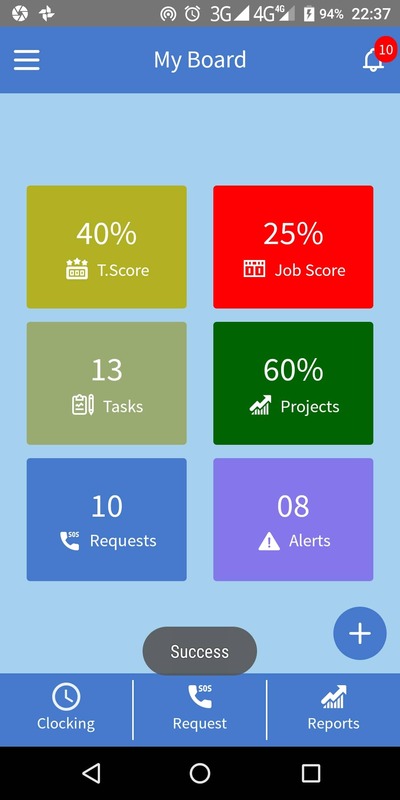 All these functions are in the same phone application, which offers the best way to monitor employee absence for both fieldworkers and office workers. Using the software offers best functions such as timesheet reports, task reports and hr management. As such, businesses, schools and government institutions wishing to improve staff performance use Finclock absence software. Here, the staff members shall be using a phone absence management application, the application has the functions of requesting for absent days. The staff members will be marking their attendance (clock in and clock out), based on the shift arrangements. Using this absence management software, a manager or leader will be able to save time and money in the business. Managing staff absenteeism requires using online absence software. Staff members reporting to work use the attendance software to show that they actually came to work. Then, the attendance software, which has absence and location monitoring functions shall provide reports to the management, from where the automated absence monitoring is done from the phone phones. Human resource and finance Managers and business owners using the absence management software simplifies their work. Here, they will just be checking the absence reports on the online attendance software records. This attendance software can be operated on phone or from a computer. Another essential function of the attendance software is the monitoring of employee location and attendance. The best absence software online offers functions for automated location monitoring, which is essential for managing field service workers. Using this phone attendance application, a manager or business owner will be able to identify absenteeism reports, which are accompanied by task reports. Here, the application offers the employee a chance to request for absence, which is automatically accounted for, during the performance review. Using this staff absence software gives the business or institution the much-needed staff monitoring software functions. 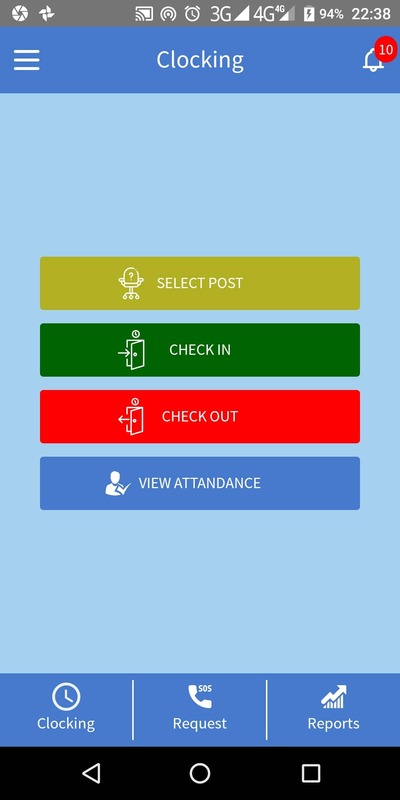 These functions will allow field staff to show attendance using their phone phones. The staff members will account for their time and perform the allocated tasks. Using the staff absence management system, the staff members will reduce time theft and improve performance.